of a horseshoe, are Europe’s unique and largest. They are 15.8 m high and their total length is 1741.5 m. Brine is drawn from the famous “Mushroom” fountain. 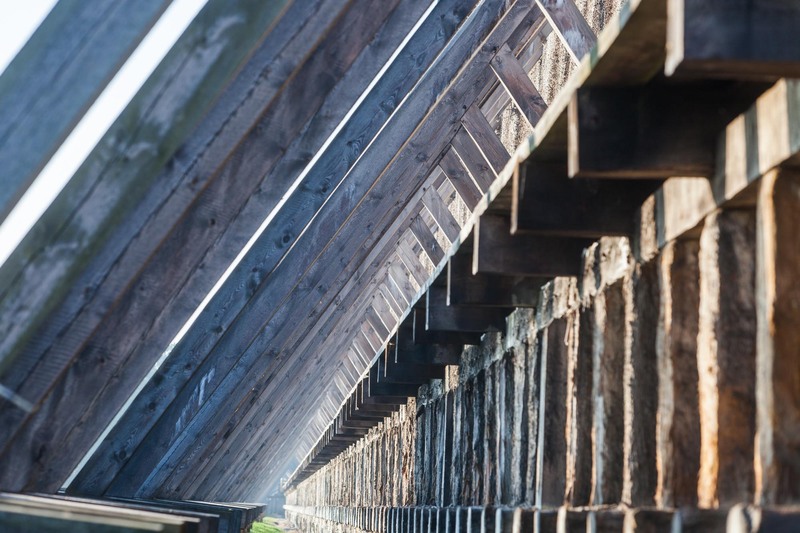 Worth visiting is the Saltworks Museum – its exposition takes us to the beginnings of the Ciechocinek health resort. The Zakopane-style Concert Bowl located in the Park Zdrojowy is a venue of festivals and other events held throughout the year. While walking around the health resort no one can miss taking a photo with ”Hansel and Grethel” at the background. This famous fountain in Ciechocinek is one of the town’s hallmarks. The ”City on salt” owes its name to the rich underground salt deposits and salt making traditions, dating back to the Middle Ages. The local health resort was established in 1875, and the city’s current health resort part is the 85-ha Park Solankowy (Brine Park). 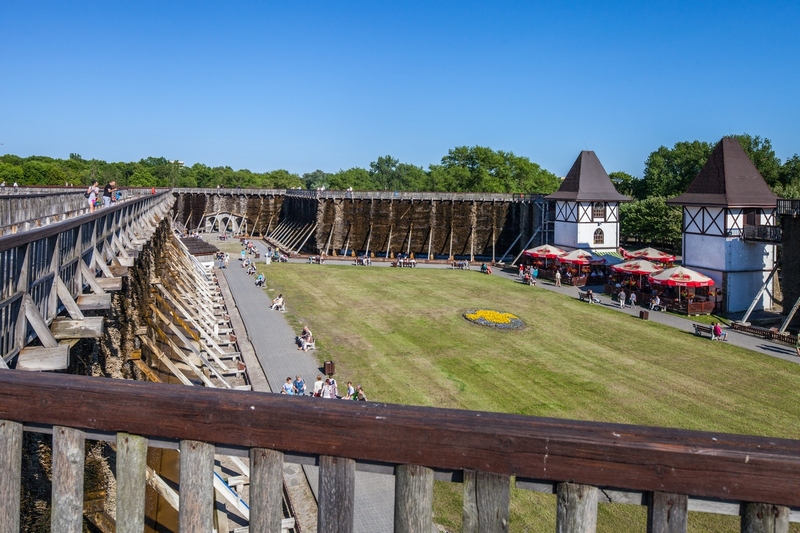 In the 2014 National Geographic Traveler plebiscite, the Inowrocław salt graduation tower became one of the 7 new wonders of Poland! It is distinguished by exceptional shape of two combined huge polygons. Illuminated at night, sparkling with a spectrum of colours – they delight health resort visitors. 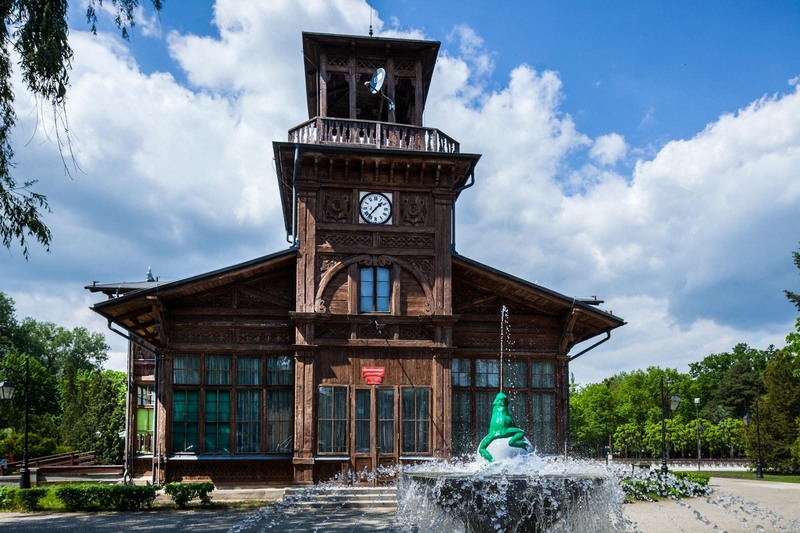 At the local drinking house one can support his or her organism with the mineral water ”Inowrocławianka” and therapeutic water ”Jadwiga”, and at the palm house admire the beauty of exotic plants. If we get lucky – we will see the ”Queen of the Night” – this unique cactus flower blossoms only a dozen or so hours a year! The garden of aromas and colours is an excellent place for a walk amidst multicolour roses, peonies, lilies and herbs smelling nicely. For a moment of relaxation one can go to the Inowrocław thermal spring and enjoy the abundant offer of SPA treatments. Near Grudziądz, in tiny Marusza, people looking for gas and crude oil had found deposits of thermal waters. Nowadays, one of Europe’s best therapeutic waters, extracted from the depth of more than 1,600 m, are used at the balneological facilities of Geotermia Grudziądz. The water temperature reaches 40° C. An excellent place for relaxation and health improvement is the unique pyramid with a salt graduation tower for inhalation with natural salt aerosol, rich in, among others, iodine and bromine. A cosy health resort located in scenic forests is a place for people, who prefer recovering or taking care of their health condition in a cosy secluded spot. Fresh air saturated with phytoncides – ethereal substances secreted by pine forests and junipers – has a soothing influence on our organisms. Wieniec-Zdrój owes its foundation to therapeutic water springs and abundant deposts of therapeutic peat.